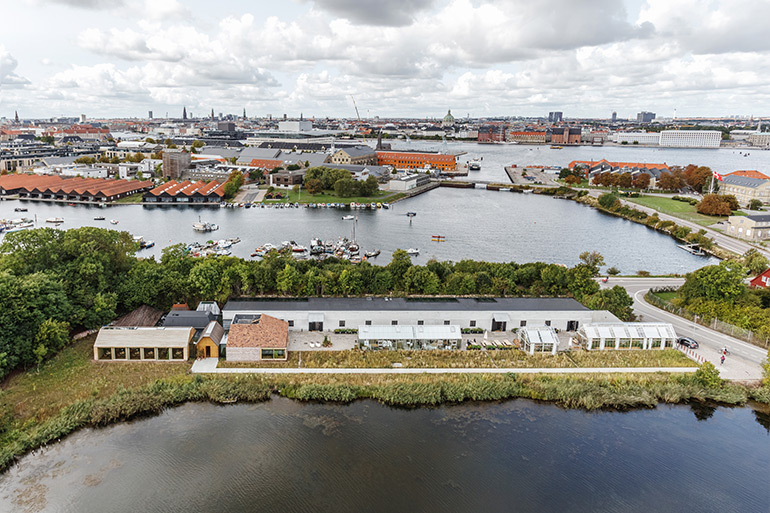 Noma restaurant, recognized four times as best in the world by the World’s 50 Best Restaurants, last year closed its doors to the 16th-century harborside warehouse that had been its home for fourteen years. 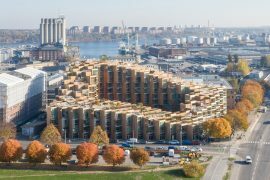 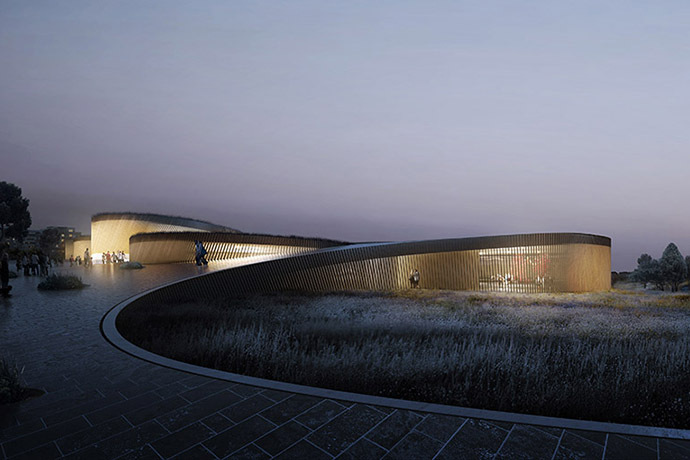 After over three years of planning, noma’s new home reopened in February this year in a space developed and built in partnership with the renowned architecture practice BIG-Bjarke Ingels Group. 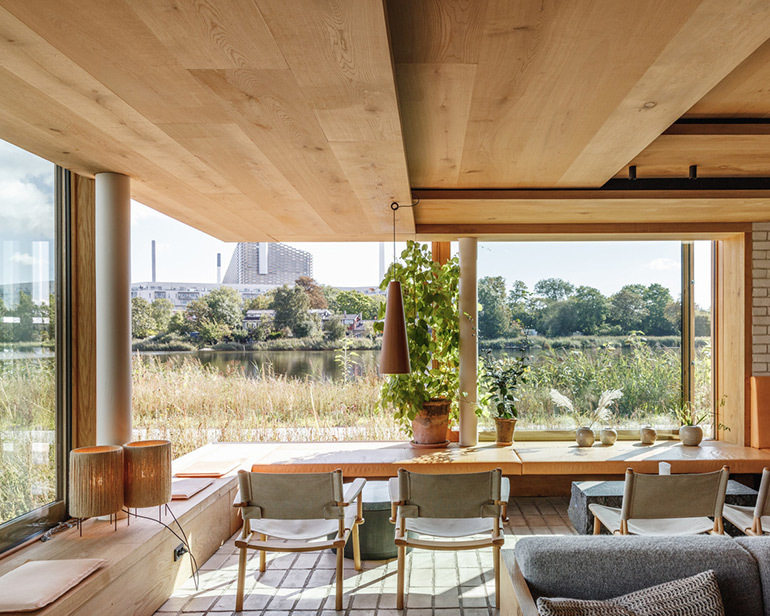 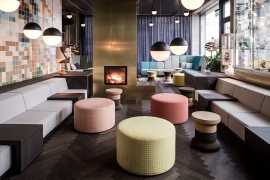 Situated between two lakes and within the community of Christiania, the new restaurant is built on the site of a protected ex-military warehouse once used to store mines for the Royal Danish Navy. 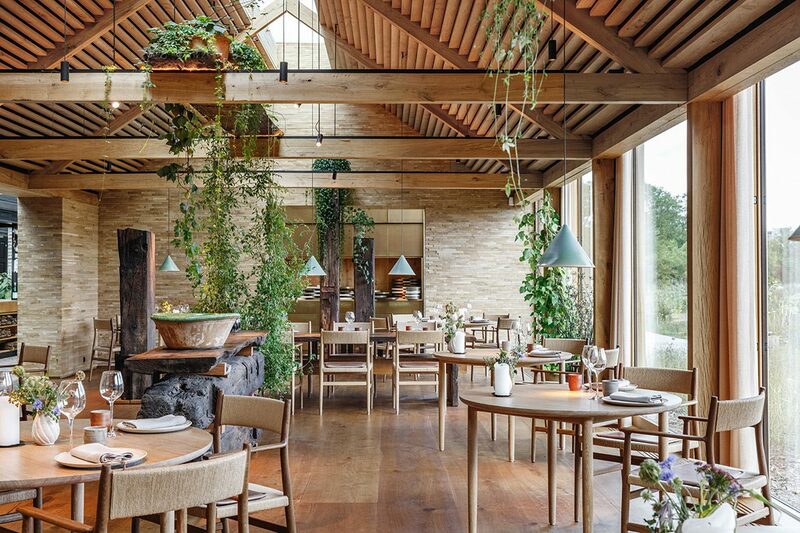 Imagined as an intimate garden village, guests are welcomed to experience a new menu and philosophy that will redefine noma for years to come. 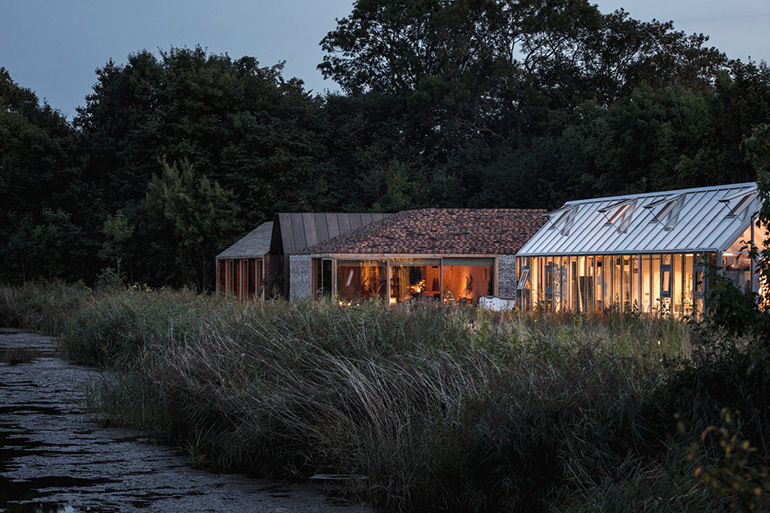 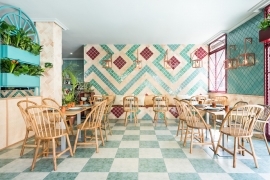 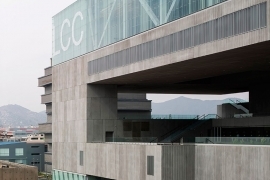 Central to BIG’s design was the idea of dissolving the restaurant’s individual functions and organizing them as a collection of separate yet connected buildings. 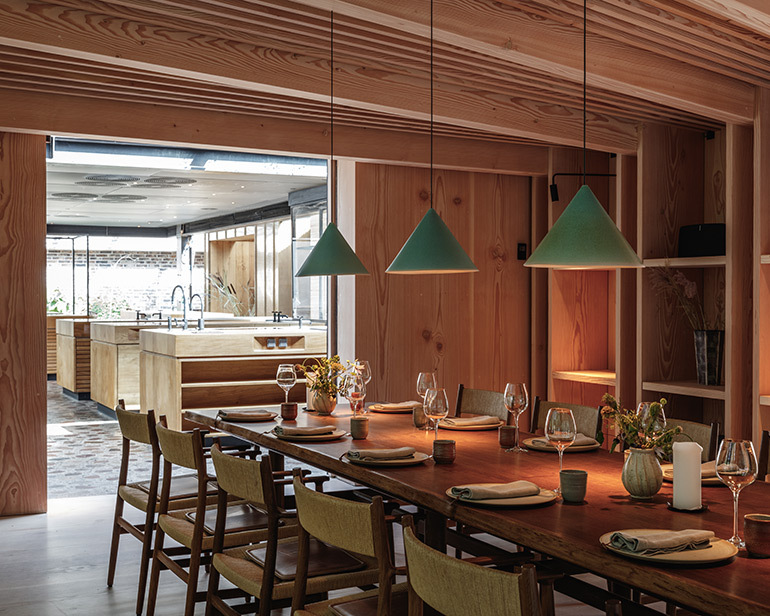 A total of eleven spaces, each tailored to their specific needs and built of the finest materials best suited for their functions, are densely clustered around the restaurant’s heart: the kitchen. 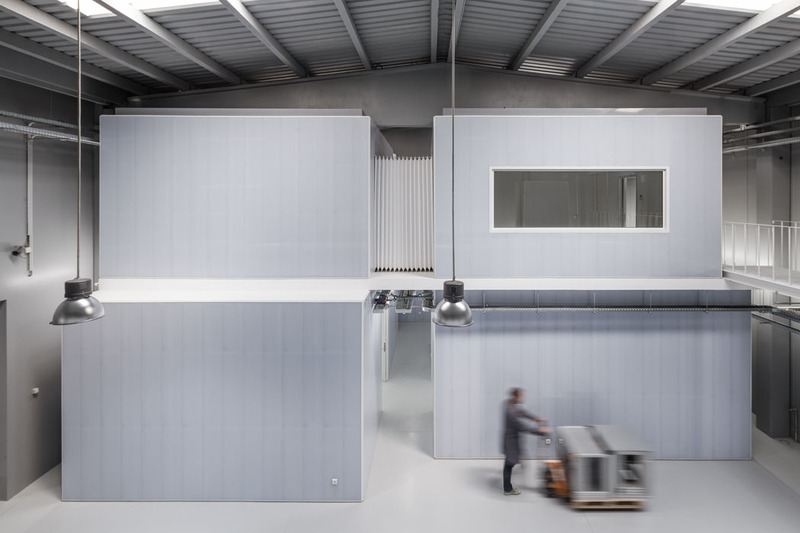 The noma kitchen is designed like a panopticon with an oversized hood hovering over the chefs. 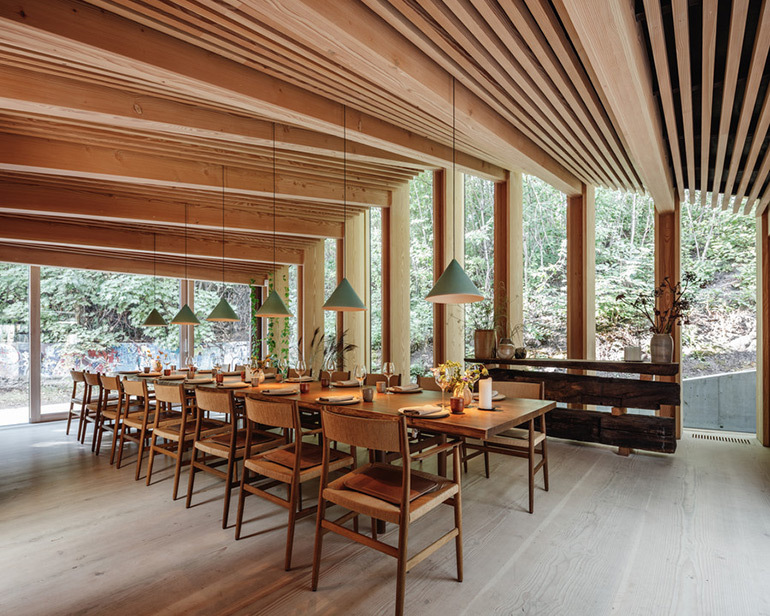 From here, the chefs can oversee the entire kitchen and guest areas, including the dining room and adjacent private dining room. 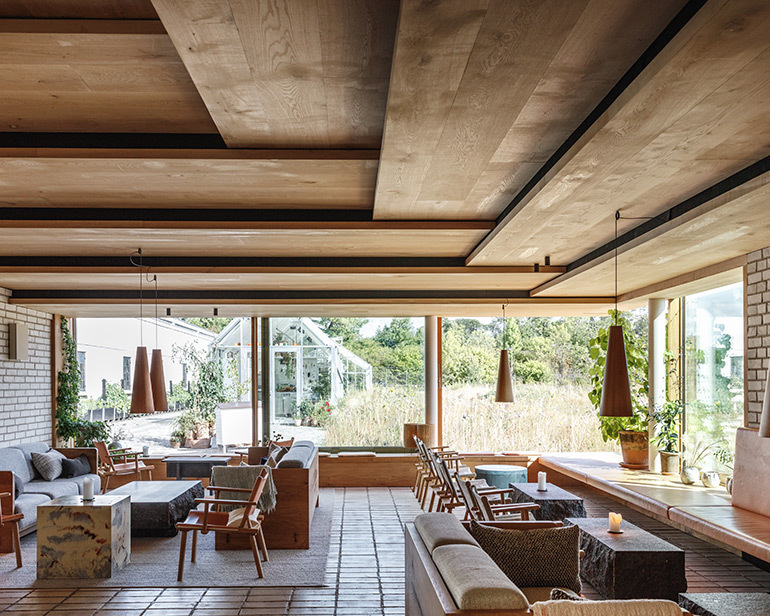 These spaces are made of stacked timber planks that resemble neatly piled wood at a lumber yard. 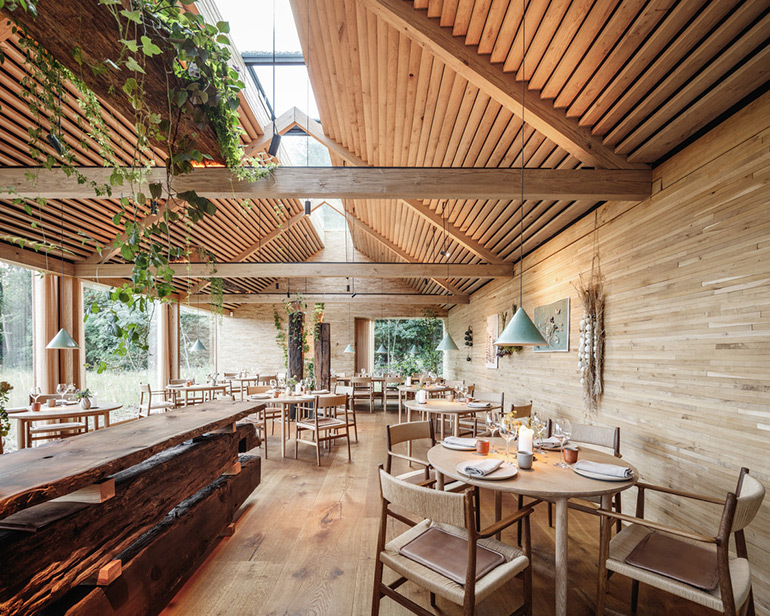 A large skylight and an expansive set of windows that slide to reveal the outdoor permagarden allow guests to truly sense all of the seasons and the restaurant’s natural surrounds. 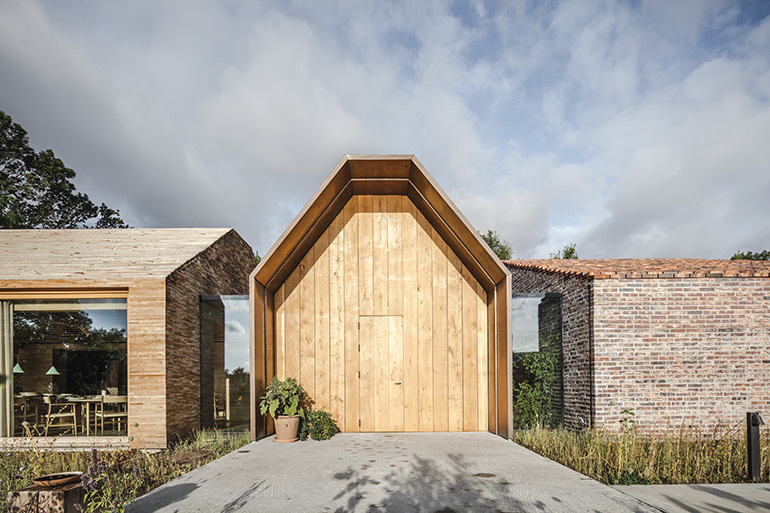 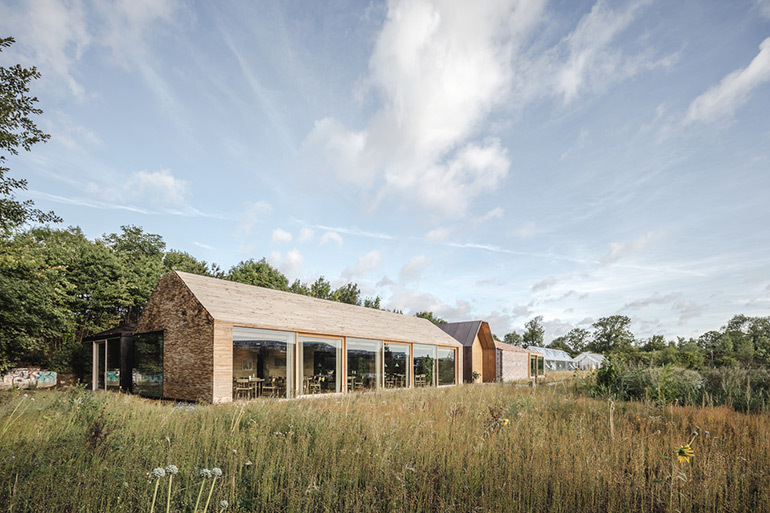 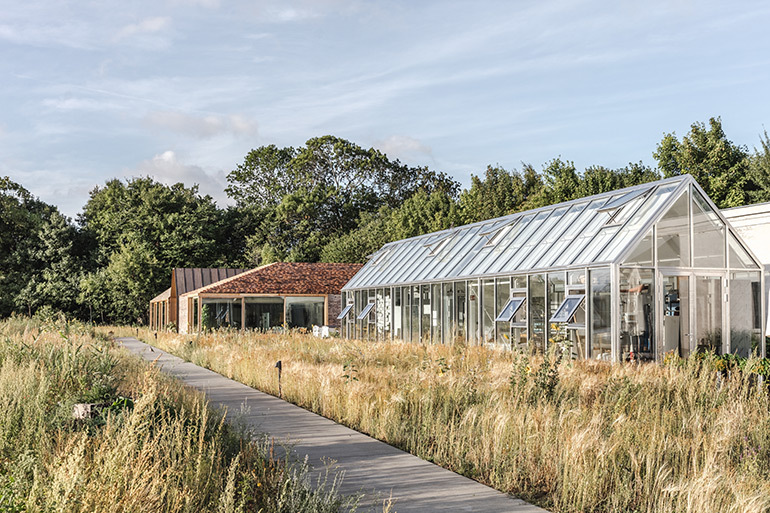 Outside, three free-standing glass houses provide for the restaurant’s garden, test kitchen, and bakery. 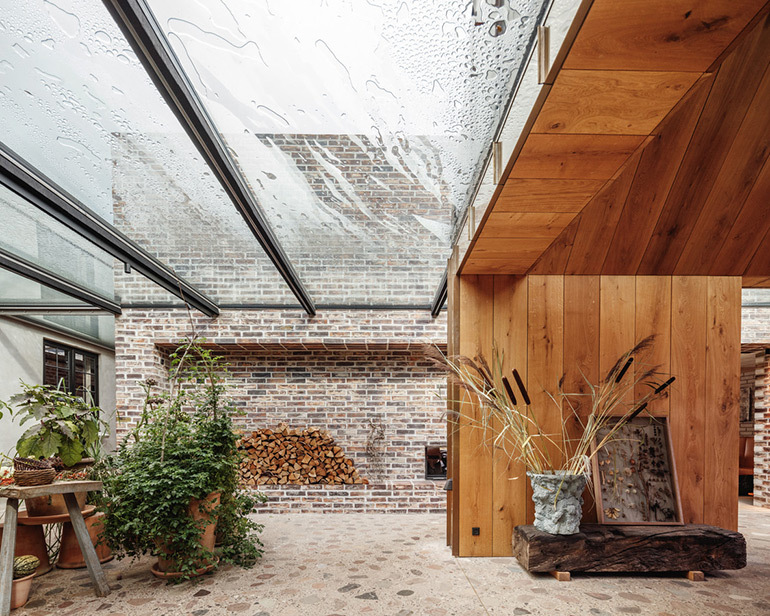 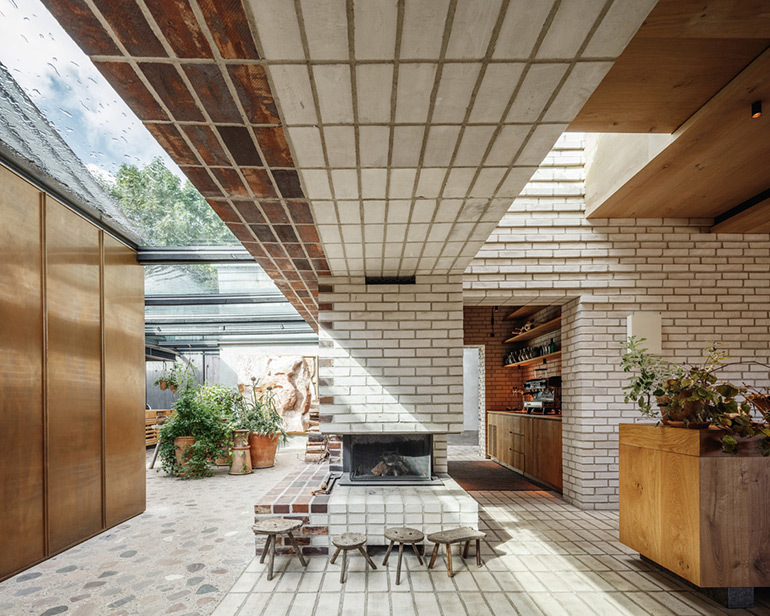 Guests have the opportunity to walk through each of the surrounding buildings and to experience a variety of Nordic materials and building techniques: the barbecue is a giant walk-in hut and the lounge looks and feels like a giant, cozy fireplace made entirely of brick inside and out. 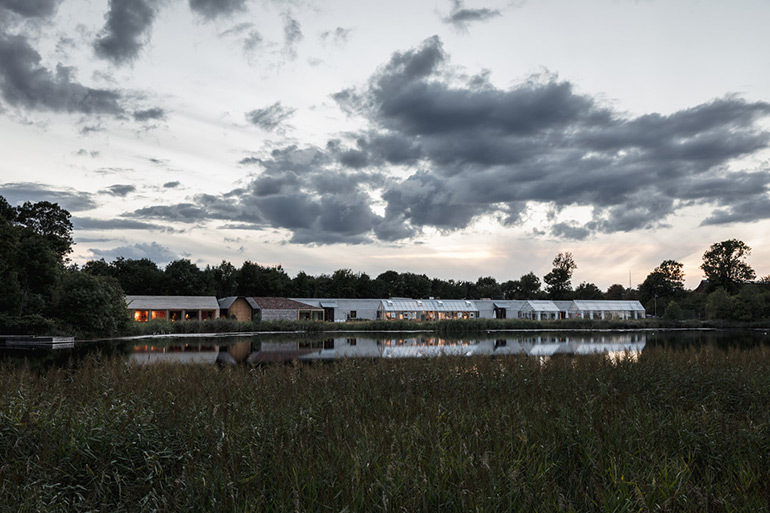 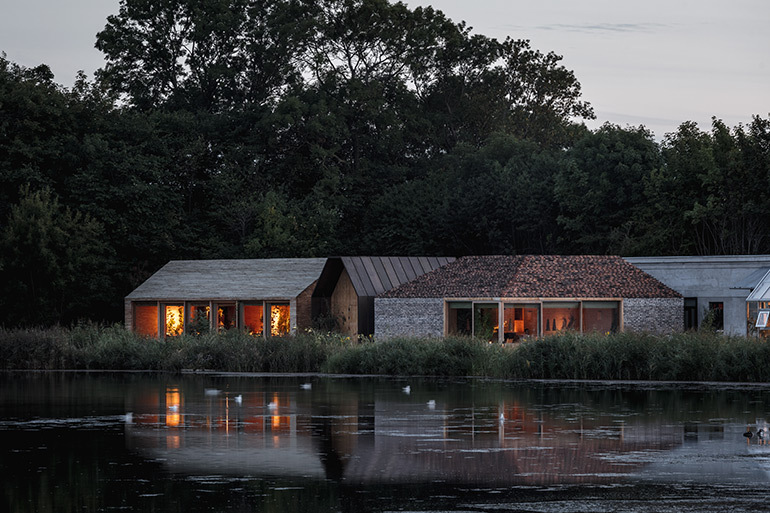 In-between the individual buildings are spaces enclosed with glass, allowing guests and the noma team to roam in constant connection with nature and the changing seasons. 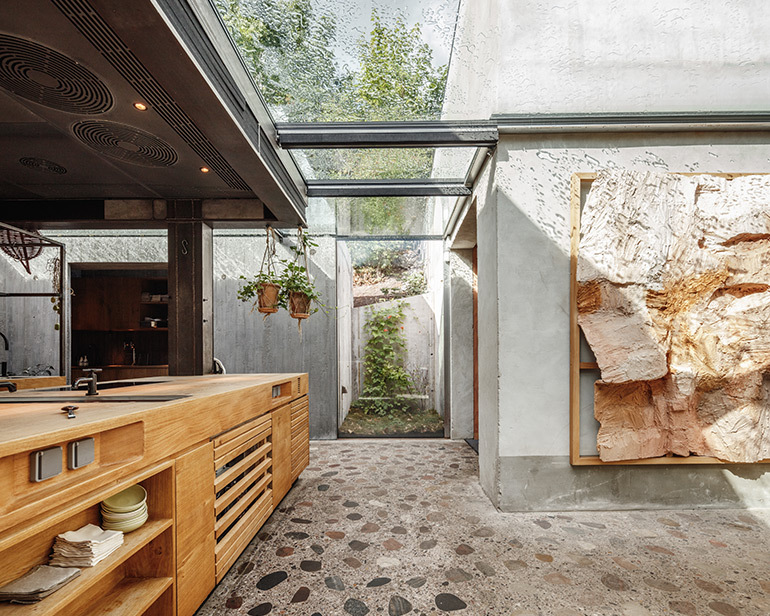 The historic 100-meter-long single-story warehouse completes the circle of buildings surrounding the kitchen. 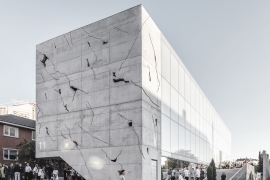 BIG preserved the raw shell of the warehouse’s concrete and inserted a massive wooden shelf for storage and display. 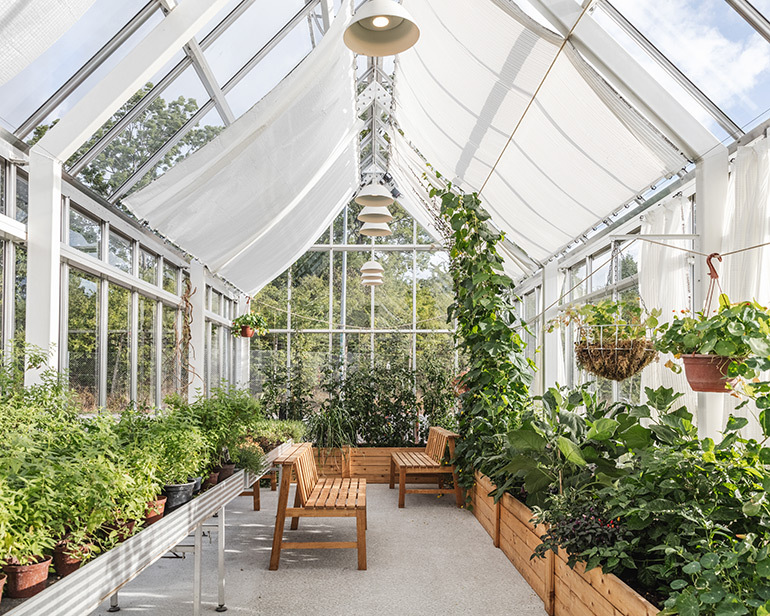 All of the back-of-house functions are located here, including the prep kitchen, fermentation labs, fish tanks, terrarium, ant farm, and break-out areas for staff. 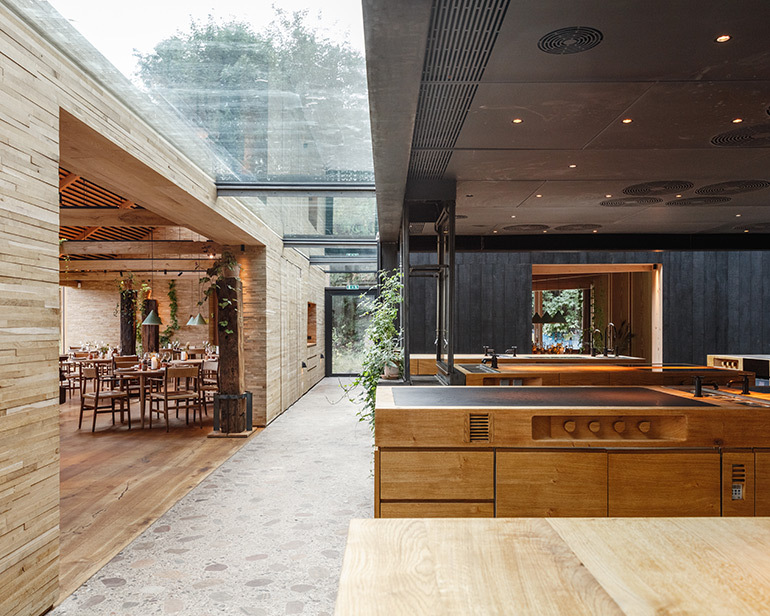 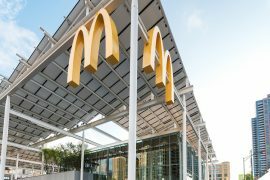 Guests walking alongside the building can get occasional glimpses of the restaurant’s behind-the-scenes activities and experimentations.